NetworkPasswordDecryptor also allows you to delete any of the stored passwords from 'Credential Store'. This is useful if the password has changed or if the user has accidently saved the critical password. Windows 'Credential Store' support following different type of network secrets. Each of these types have different level of access and follow different encryption mechanism. For example 'Generic Passwords' can be decrypted by corresponding users directly. However decryption of domain passwords require special privilege and can be decrypted only in the context of system process, LSASS.exe. This makes it easy for application to choose suitable type of encryption mechanism for storing their login passwords. Next click on 'Start Recovery' button and it will instantly decrypt all the stored network passwords. You can use 'Delete' button to remove any of the saved passwords from Credential Store. Finally you can save this decrypted passwords to HTML/XML/Text/CSV file by clicking on 'Export' button and then select the type of file from the drop down box of 'Save File Dialog'. 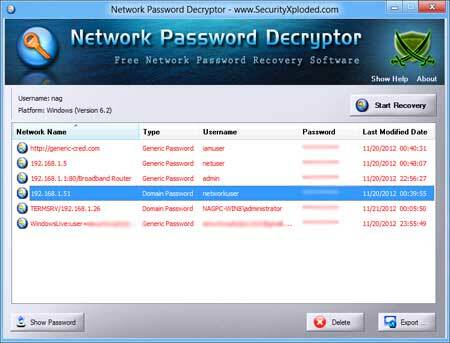 Screenshot 1: Network Password Decryptor showing all the recovered passwords from Windows 8. 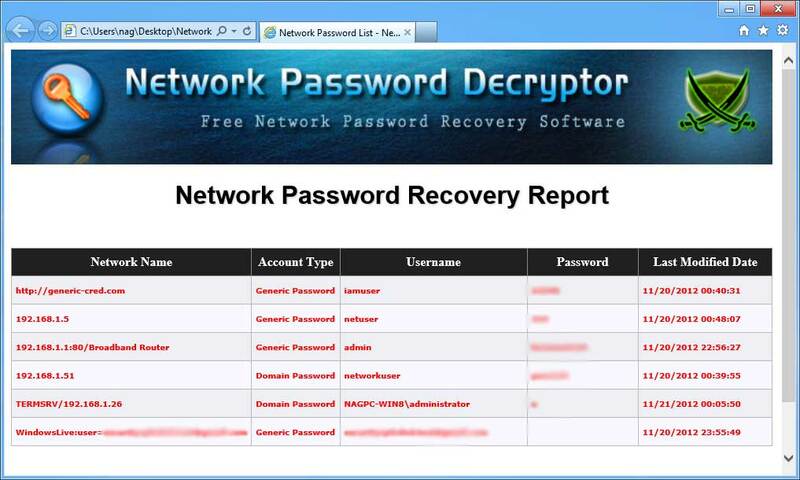 Screenshot 2: Report showcasing all the recovered network passwords on Windows 8 system. Mega 2018 release to support for recovering windows/network credentials. Mega release with support for recovering network passwords on new Windows 10 version. Also fixed the sizing problem with higher resolution computers. Improved GUI screen with magnifying icon effects. Fixed few minog bugs. Right click context menu to quickly copy the password. Fix for screen refresh bug and os version. 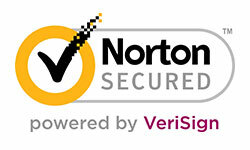 Now it supports network password recovery from Windows 8. 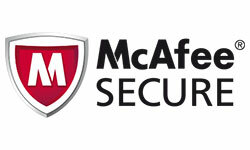 All passwords except 'windows live messenger' can be recovered. Renovated user interface, Export recovered passwords to XML file and improved reports. 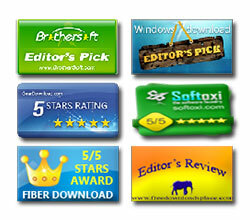 Integrated Installer for local Installation & Uninstallation, Auto Software Update feature. Current version has new improved interface with additional feature to hide the passwords by default due to their sensitive nature. However user can view the passwords by clicking on 'Show Password' button. Fixed the issue with retrieving Windows Live Messenger password on Windows 7 Home editon. Many thanks to Patrick.B for reporting and working towards the resolution. First public release of NetworkPasswordDecryptor. 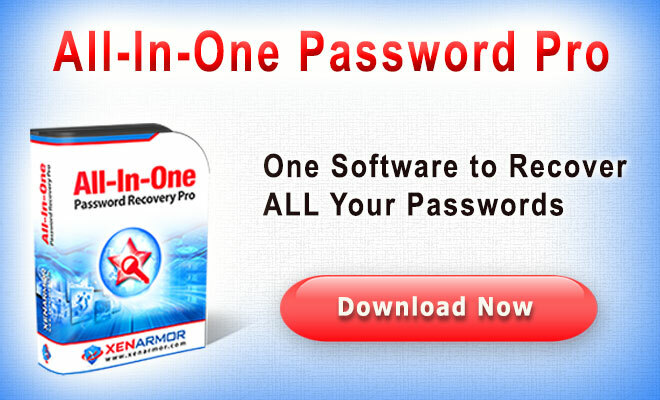 Supports recovery of all the network based passwords including network authentication, remote desktop, windows live messenger, Outlook & Gmail Notifier. Also it provides option to completely delete any of the saved passwords. In addition to this user can save the decrypted password list to TEXT or HTML file. 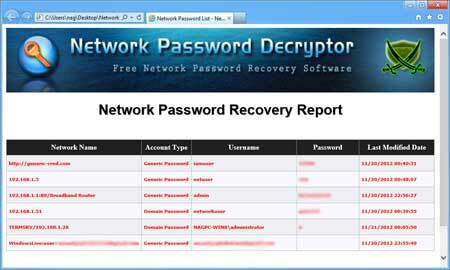 Network Password Decryptor is the free tool and designed for good purpose to help users to recover the lost network account passwords. Like any other tool its use either good or bad, depends upon the user who uses it. However author is not responsible for any damage caused due to misuse of this tool.